Save for a handful of especially lucky people, the offline writing industry has never been a particularly lucrative or secure business. Nowadays, however, a growing number of writers are able to find work online on one of the countless freelancing platforms. These enable them to easily get in touch with customers ready to pay for their services. Over the past decade these platforms have become increasingly popular among those who wish to make a full-time living, as well as young college students looking to earn writing experience and a bit of pocket money along the way. What makes working online such an appealing prospect to students is the fact that they have utter freedom to choose when and where they work, which makes it easy to balance their job with their studies. However, finding the right platform can prove to be quite a challenge. This can be either due to the sheer number of sites to choose from, or the fact that a lot of them can be fraudulent. College students can have a particularly hard time finding a suitable workplace since many platforms refuse to hire people without at least a bachelor’s degree or prior working experience. 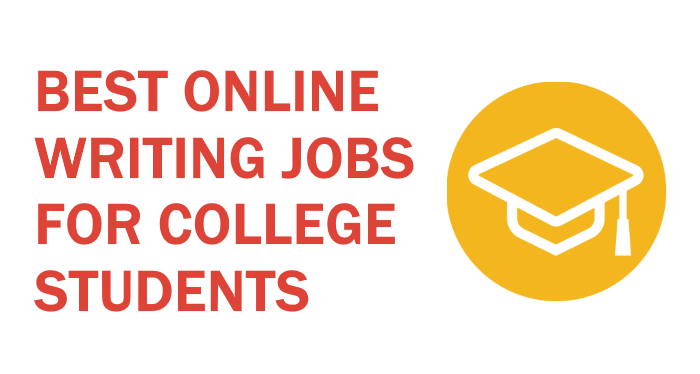 Here are the 10 best online writing jobs for college students where any young individual can kick-start their career as a writer. Since most of the websites listed here are freelance sites, we also advise you to take a look at our list of 10 Best Websites That Pay You To Write where you can earn more money doing what you love. Unlike most others on this list, this is not a freelancing platform. Listverse is a website where talented writers with an interest in the “off beat” and the bizarre can submit top 10 lists on almost any topic they find interesting (except the several specifically listed on their page), and potentially get paid for them. However, as Listverse chooses only 3 submissions per day, the chances of getting accepted are rather slim. The lucky ones whose lists do get approved and published on their blog get paid $100 while the rest retain full rights to their piece of writing and are free to use it as they please. Although this job doesn’t offer a source of consistent work by any means, it is certainly not impossible for imaginative authors with a little time on their hands to get approved and earn some good money. Freelancer.com is a website where providers (freelancers) from all over the world can create a free account and bid on jobs that interest them. Although not exclusively a site for writers, freelance.com certainly offers a great deal of writing jobs ranging from technical content writing gigs to article, report, essay, blog or creative writing projects that even undergraduates can tackle. One great thing about this site is the possibility of uploading a portfolio that showcases the author’s previous work. This means that even non-professionals like college students have a very good chance of landing a gig, provided that they dazzle the customer with what they have to offer. Their free membership, however, grants freelancers only 8 bids per month. What this means is that whoever wishes to advance has to upgrade to a premium membership at one point. Aside from this, there have also been numerous reports of a flawed payment protection service. Payment: The freelancer is charged a commission fee of $5 or a 10% (whichever is greater) on fixed price projects and 10% on hourly projects. iWriter is a platform that allows freelance writers to earn money doing what they do best. The best thing about it is that there are no special requirements; absolutely anyone can join as long as they are at least 18 years old. Most users, however, have mixed feelings about iWriter. Some of the most common complaints are those concerning the frequent rejections and the overall outrageously low pay. In addition to this, the platform is reported to have had problems with text formatting, as well as poor communication with their community. Despite all this, iWriter does some things right. For one, those who have tested it claim that the payments always arrive on time. Secondly, although no author will get rich using this website or even make it a source of full-time income, it’s certainly possible to earn some spare cash for those who are willing to put in the effort. Payment: Payment per article is directly connected to the author’s star rating. The writers get 81% of the price of the article leading the beginners or “Standard” writers to earn $1.62, $2.43 and $4.05 for a 300, 500 and 700 word articles respectively. Upwork (formerly Odesk) is currently the largest online freelancing platform. With over 1.5 million clients, it offers something for everyone. It hosts a variety of projects, including those for writers in all niches. And, since virtually anyone is free to join, it’s a suitable platform for students looking to earn something extra. Unlike some similar websites, Upwork offers excellent payment protection which ensures that no freelancer is cheated out of the money which they earned. This said, the only drawbacks of this platform would be the outrageous competition and the hefty commission fees. Payment: Freelancers are normally charged a 20% commission fee for both fixed price and hourly projects. However, after earning more than $500 with a single client, the fee drops to 10% for that client and drops once more to 5% after reaching a milestone of $10.000. Upwork also charges an additional 2.75% processing fee on all payments. Guru is another one of those websites where there’s a little something for everyone. What makes it especially appealing to writers is the number, quality and variety of writing jobs it offers. Students can bid on a job that suits them best, be it regular article and blog writing or technical content writing project (in case they have a specialization). In addition to this, the SafePay method Guru uses ensures the security of the payments making it one of the safest and trustworthy platforms available. Beginners who wish to work on a free membership plan get 120 bids a year. This might not seem like a lot, but those writers who are willing to invest a little time and effort into their work might find that it is actually quite enough. Others, on the other hand, are free to purchase one of their optional paid membership plans. At first glance, goLance appears as just another generic freelance platform, but upon closer inspection, it proves to be much more. Having removed the bidding system and made the platform completely free to use, goLance has created a provider-friendly environment where anyone can join and work on jobs of their choosing, including a plethora of writing projects. What can make goLance especially interesting to students is their unique referral system. This allows those who want to earn money, but are preoccupied with studies, to acquire a passive income by earning 10% from every referred freelancer’s or employer’s commission fee. Another interesting feature is that the site recommends providers to customers according to their needs. This doesn’t exclude the possibility of freelancers also applying for jobs themselves, without any additional fees. All things considered, the only downside of this platform would be the fact that it’s relatively new and doesn’t have as many users as competitors. 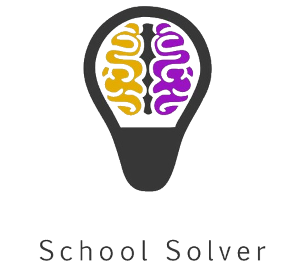 School Solver is unlike any other website on this list. It’s a place where students can work as “tutors” to answer other students’ questions and get paid for it. The “questions” can range from doing students’ homework, solving math and physics problems to academic assignments such as writing research papers or essays on various topics. Every time a student buys their answer, the tutor gets paid. An interesting thing about the platform is that posted answers can be bought multiple times which offers the possibility of passive income. This website is held in high regard by both students and tutors. The only downside would be the low number of questions posted. In spite of this, School Solver is definitely worth trying out. Payment: Payment mostly depends on the students because they choose the answers with the price that suits them. School Solver charges a 20% commission fee on every answer bought and another 2% for money withdrawal. Textbroker is another website exclusively for freelance writers. The way it works is rather simple and straightforward. The authors are paid per word, and the amount paid depends on the star rating editors give them upon reviewing their writing sample. Authors can choose if they want to work an Open Order and have a flexible schedule, a Direct Order where the customer comes to the author specifically, or a Team Order in case the author wants to write regularly for specific clients. Finally, It’s important to mention that textbroker.com is a website exclusively for the citizens of the United States whereas on textroker.com.uk anyone can sign up for free. It’s important to know that on textbroker.com.uk the payments are calculated in euros and that there aren’t any additional charges by the website, meaning that the writers take 100% of what they earn. Fiverr is a place where sellers (freelancers) create “gigs” explaining what they will do for $5 and then wait for customers to come to them rather than the other way around, as is the case on most other platforms. The minimum cost of a gig is $5, but can go up to hundreds or thousands of dollars with “gig extras”. It’s a place where people of all ages can choose to do whatever they want from silly pranks and doing other people’s homework to writing, web design and virtually anything else imaginable. Some of the downsides of Fiverr are its large commission fees on the already low payment and the fact that the sellers have no control over the gigs they chose. This means that if a client buys their gig they can either do the job or cancel it. The latter will, however, reflect badly on the seller’s rating. OneSpace, formerly CrowdSource, is primarily a workflow automation platform that also offers freelancers from all over the world the possibility of doing micro-jobs for business giants such are e-Bay, Wal-Mart or Staples. Those who decide to join OneSpace are presented with a series of tests they are required to pass in order to “unlock” certain jobs. The amount of money someone earns depends on the type of jobs they do, which in turn depends on how well they had previously done on these tests. The platform offers a myriad of different micro-jobs. Most of these have something to do with writing and can range from technical writing assignments to various crowdsourcing jobs. One regrettable downside, however, is that jobs aren’t always available and freelancers must often wait for hours for a new job to be posted. Payment: The payment per job depends on the type, scope and difficulty of the job and can range from $0.1 to $10, $20 or more. Upon finishing the job, the money is automatically transferred to the freelancer’s Paypal account without any charges and is available for withdrawal as early as the following day. Although some of these, like Freelancer, Upwork and Guru, are among the most generic platforms available where a lot of customers often ask for more experienced writers, I find that they more than deserve their place on this list due to their reliability and variety of jobs they offer. Made with college students in mind, this list might have neglected to mention some other popular platforms and has instead included several less known ones deeming them more suitable for undergraduates’ needs and abilities. Another thing to keep in mind is that none of the above mentioned websites are restricted to one country or region only, which I thought was an important feature. Finally, even though there are several sites where academic writing projects can be found, I regret not being able to include any sites that specifically hire student freelancers to do these projects. In my search for such websites, I have found that most are either unreliable, have an existing team of employees and don’t hire freelancers at all or hire exclusively people with at least a bachelor’s degree, making them unfit for undergraduates.